Epidemic research papers overview the term used to define outbreaks of infectious diseases. Many terms are used to define the outbreak of infectious disease (ID). Depending on the extent and location of an outbreak, the term used to refer to it changes. For instance, when an ID reaches “global proportions”, i.e., infecting large numbers of people across many countries such a occurrence is usually called a Pandemic, originating from Greek pandemos meaning "pertaining to all people". 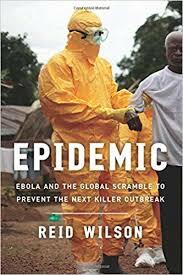 When the number of people who become infected rises well beyond what is expected within a country or a part of a country, the occurrence is usually referred to as an epidemic. If the ID beings to permeate into several other countries or regions, it is becoming a pandemic. From this perspective, a pandemic can be considered an extensive or widespread epidemic. Epidemic research papers have been written by medical experts. We can produce a custom written project following your guidelines. The United States, even in our short history have experienced several epidemics. One of the first major epidemics was the small pox outbreak in New England. Believed to have been brought by European settlers, disease swept through the Northeast, wiping out entire Native American tribes. Native populations in New England are thought to have plummeted by over 70 percent due to this outbreak. According to the Centers for Disease Control, the last case of small pox in the United States was in 1949. In 1952 the infectious viral disease known as Polio reached a peak in the United States. This debilitating disease created frenzy, warranted quarantines and prohibiting travel from city to city within the United States. During its peak, over 58,000 cases were reported, including 3,145 deaths. Fortunately, medical innovations has led to highly effective vaccinations from which the United States has been polio-free since 1979. Flu Pandemic of 1918 is notable for its high mortality rate and is linked to the spread of H1N1 Virus. Spanish Flu Pandemic killed between 20 and 40 million people and spread very quickly around the world. Chicken Pox Research Papers explore a virus belonging to the herpes family, its effects, and symptoms. Technology and Infectious Disease research papers illustrate the relationship between technological advances and illness. AIDS in Africa Research Papers - the AIDS issue, particularly in the sub-Sahara region, has figuratively and literally received “pandemic” attention from key business. Order a research paper on Aids from Paper Masters. Paper Masters writes custom research papers on Epidemic and overview the term used to define outbreaks of infectious diseases.